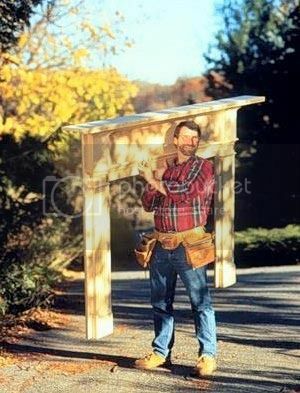 Between shooting The New Yankee Workshop and This Old House, Norm rarely has time to build anything for himself. And, like the rest of us, he readily admits his own home is ?a work in progress.? So, Norm is taking this woodworking project home. With his own Rumford fireplace awaiting adornment, Norm takes the opportunity to design this classic Colonial fireplace mantle and builds it using a variety of woods and moldings readily available at home centers nationwide.